July was not a good blogging month for me. We were out of town for a long week, preparations for that trip, it just seemed like a short month with not a lot of free time. We were also in a whirl over my husband's production of Singin' in the rain. Let's just say it ain't easy making it rain on stage! The play was fantastic and I'm glad it is over. I did do a lot of reading in July. Vacation helped. Plus I participated in my first ever readathon-#24in48 sponsored by @Litsy. Just by chance I had that weekend free of children and husband so I literally sat around the house and read. The 5th Wave by Rick Yancy (2013): Great. Total sci-fi, aliens, and a large space ship. Kept me totally enthralled and a little freaked out. Mr. Lemoncello's Library Olympics by Chris Grabenstein (2016): So totally fun! I want to figure a way to make a library olympics to start off the new school year. The second book to Mr. Lemoncello's Library, a series filled with the love of reading. 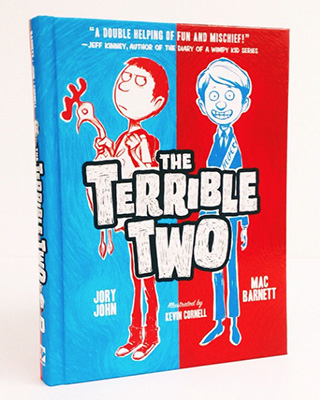 The Terrible Two by Mac Barnett (2015): Great school humor. Pranksters at the elementary level as only Mac Barnett could create. Loved the two character Miles and Niles! Perfect for 8-12-year-old jokesters, pranksters, or anyone with a funny bone. One Second After by William R. Forstchen (2009): July book club choice. Very interesting look at how we would handle a major crisis in the US. Centered on Black Mountain and Asheville, NC which was cool because I was right there while reading it. I didn't agree with his one-sided military viewpoint but definitely lots to think about. 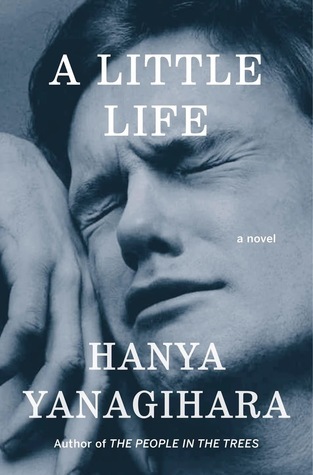 A Little Life by Hanya Yanagihara (2015): AMAZING. You will feel many emotions as your read this 720 page book. I wrote more about it here. Cannot get Jude or Willem out of my mind. I want everyone I know to read this so I can discuss it with them. Stella by Starlight by Sharon M. Draper (2015): Good basic story about Stella's father standing up for his right to vote and how the Klan doesn't appreciate that kind of thing. I liked the story but was unhappy with the ending. Too quick with no resolution; just another day. New Kid by Tim Green (2014): This was suspensful but like Stella left me wanting for a much better ending. This kid should have stayed with his coach and stopped running with his dad. Wolf Hollow by Lauren Wolk (2016): Recently at Dragonfly Books in Decorah the owner talked me into buying this one. She simple said "It's the best book I've read this year." I thought so too. A simple yet complex story that shows how our prejudice often gets the better of some of us. Timely for today as well. I feel like this is a book I could read again. I read a lot of elementary fiction this month. I'm trying to make it down my list of titles for Iowa Children's Choice Award choices for next year so I will be ready to vote. If I added the book cover-it's one you should pick up and read. Enjoy!